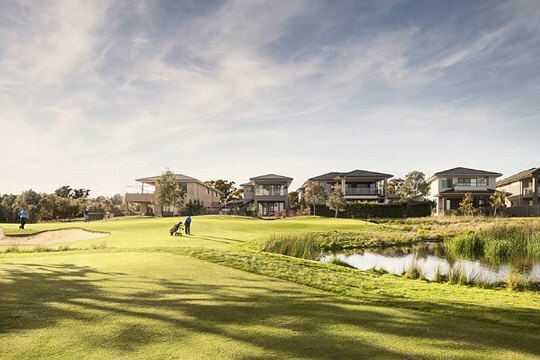 A Graham Papworth-designed nine-hole course on the site of the former Geelong Golf Club, will open to the public in early 2014. Developer Links Living, who were also responsible for the Sandhurst and Sanctuary Lakes Resort developments in Victoria, are working on the 45-hectare Geelong Golf Club Residential Estate and announced that the course would will be open for play before the entire housing project is completed. The original Geelong Golf Club opened in 1892 but ran into financial difficulty in the early 2000s. Links Living took over the club and its appreciable debt in 2002 but was forced to close the doors in 2004. As part of the re-design which will work in harmony with the residential estate, Papworth was able to use some of the existing features of the former course and maintain the extensive and mature vegetation. “Our primary objective was to plan a good good-quality golf course that would offer an enjoyable challenge to all standards of golfer,” said Papworth. When completed, the Geelong Golf Club will also host an academy and driving range.